What Is HubSpot And How Can It Generate More Website Traffic? 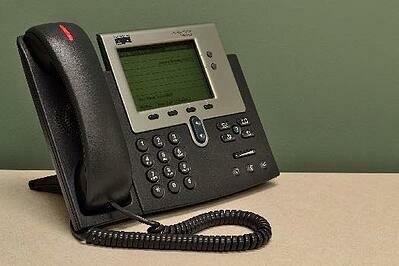 So, you’re wondering: what is HubSpot and how can inbound marketing increase website traffic? Well, let’s first start by talking about why HubSpot exists. At the start of the 2010s, traditional marketing techniques, like TV ads, were still assumed to be the most effective ways to reach a consumer, even though the statistics said otherwise. Mail campaigns were being thrown out, emails deleted, and TV ads skipped. HubSpot was the most visible part of a growing marketing movement: switching from outbound to inbound. Essentially, the goal was to stop annoying the customer and start helping them. What is HubSpot? It’s a way to make marketing more friendly, by being more inviting, less visible, and less intrusive. HubSpot is a developer of an all-encompassing inbound marketing software, designed to streamline the marketing efforts of companies. It features all-in-one marketing support software designed to help in three main areas: CRM, Marketing, and Sales. 34,000 companies in 90 countries have put their trust in the platform. Being empathetic (in other words, making the customer’s interests and problems your marketing focus) is what allows inbound marketing to thrive. You allow the customer to come to you, by showing up higher in Google searches, and by showing your company is knowledgeable and helpful. Instead of interrupting a customer at a random moment with a sales pitch, you’re being useful. You give the customer something they need. HubSpot is a driving force behind this movement, by being the most visible and successful developer of inbound marketing software. The goal of HubSpot’s inbound marketing software is to make managing your marketing efforts easier. The HubSpot system makes it easy to outsource your marketing to HubSpot partners who use its software to keep track of your campaigns and the progress those campaigns are making. Don't forget, you might find it easier and a better return on your investment if you hire an inbound marketing agency to take care of content production, social media, email workflows, and analysis to name a few. What Does HubSpot Software Cost? HubSpot CRM is free, and always will be! A free HubSpot account includes contact management, contact and company insights, Gmail and Outlook integration, a Lead Analytics dashboard, as well as email scheduling and templates. The Marketing and Sales Hubs also offer free trials, which scale depending on the needs of your company. Tangible Words, an award winning Inbound Marketing agency, recommends the Professional tier as it offers the best value for your money. With Professional, you get the tools needs to create effective inbound marketing gains to increase website traffic, and convert more leads to customers. With the analytics tools, you’ll be able to track your content’s impact easily. The combined boost of all this software, if used properly, will supercharge your marketing strategy. Is HubSpot Right For Your Company? Critics of HubSpot have said that other platforms do certain tasks better, but most agree that HubSpot offers the most services in the most convenient platform. Inbound marketing is the way the marketing tide is turning, and you’ll want your company to employ its techniques. HubSpot follows its inbound marketing philosophy in its business practices, so HubSpot won’t push you into an arrangement you’re uncomfortable with. Give HubSpot’s free trial a go to see if HubSpot is right for your company. Better yet, get in touch with Tangible Words and we can help you decide if this is the right fit for your company. If you want to use sales tactics that connect with your customers on a personal level, HubSpot is an excellent way to develop the kind of inbound marketing that attracts the customer you’re trying to reach. See How This Customer’s Website Traffic Increased by 29% in Just One Month! 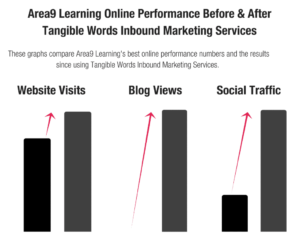 “Area9 Learning is extremely pleased with the first month’s inbound marketing results obtained from hiring Tangible Words, an inbound marketing growth agency and HubSpot partner. Our goal was to increase website traffic, get more traffic on social media, and obtain better leads. Tangible Words has already delivered this and more in just the first month. With a 29% increase in website traffic and a 230% increase in social media traffic, we are obtaining more qualified leads each day.